You are at:Home»Dhanani School of Science & Engineering (DSSE)»Is Going Solar the Only Answer to Pakistan’s Energy Crisis? 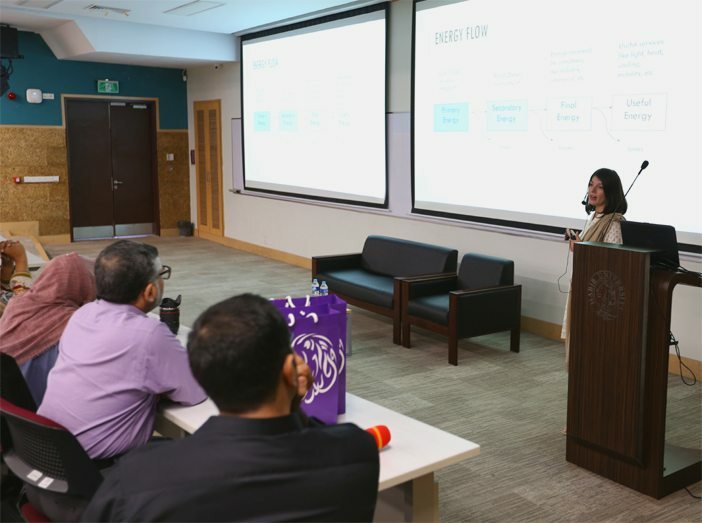 The School of Science and Engineering (SSE) at Habib University hosted the first of a series of events themed ‘Technology-penetration in Pakistan’ i.e. techPen. 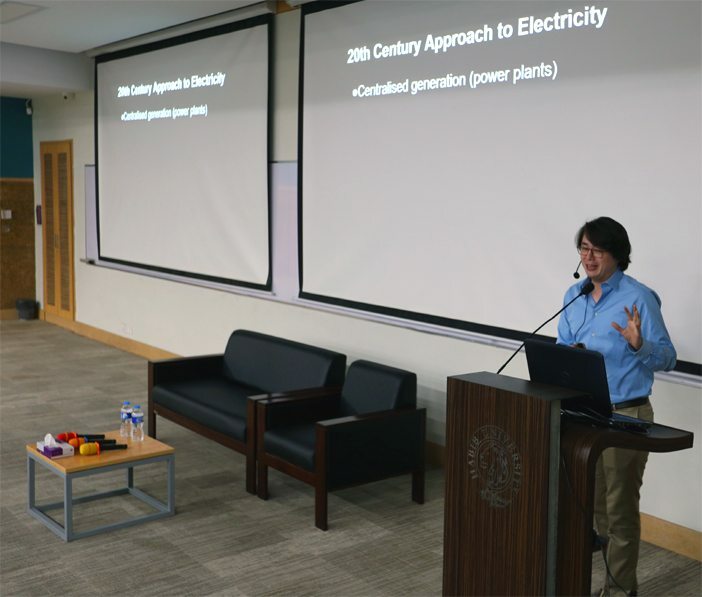 Speakers Jeremy Higgs and Nida Farid took upon themselves to speak on one of the most looming crises that Pakistan is facing: energy. The discussion was organised by SSE to highlight the main features of the energy crisis and the ways it can be addressed. The audience comprised not only of students and faculty of Habib University, but also many students and academics of other universities as well as professionals and government officials working in the sector. Nida Farid, an aerospace engineer and renewable energy consultant, started the evening’s talk with insights on where the country’s energy losses are happening, and how they can be combatted both on the policy and at an individual level. Through her research findings, Nida explained the general misconception regarding energy losses is that these occur during transmission, when by far the bigger part is lost during inefficient production and outdated technology. Pakistan’s energy crisis has escalated alongside the sharp growth of its population. As its energy infrastructure was not built to cope with the demand for increased energy, it heavily relies on non-renewable sources. The following speaker, Jeremy Higgs, is the co-founder and COO of the solar energy solutions company, EcoEnergy. Jeremy highlighted that now in the 21st century there is amply information and innovative technology to move towards solar, other renewable, and stored energy. However, the fact is that globally over 1.4 billion people do not have access to electricity, which means even if energy production were to increase, without increasing the energy network, people would still be deprived of the luxury of using electricity. The speakers discussed the main problems associated to the energy crises, both globally and within Pakistan, and suggested steps that can be taken on an individual level to combat the problem. Companies too have started to realize the importance of energy conservation and are developing products that use less energy and therefore resources. Also discussed were recommendations for policy makers, which saw active participation from the audience. The talks concluded with the expressed need to develop a plan that can streamline Pakistan’s energy usage.